To find the perfect handbag is never an easy task. Most of us find that when searching for the one, we go by the motto “I’ll know it, when I see it”. So when we saw Eulalee Leather’s gorgeous handbags, our hearts skipped a beat and we knew we had found something special. 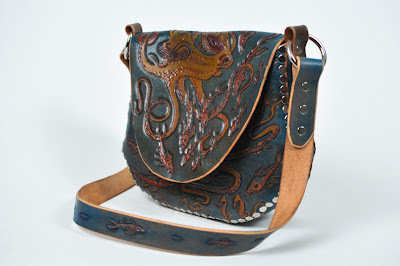 Designer Joren MacMillan, creates one of a kind, hand-carved leather bags. 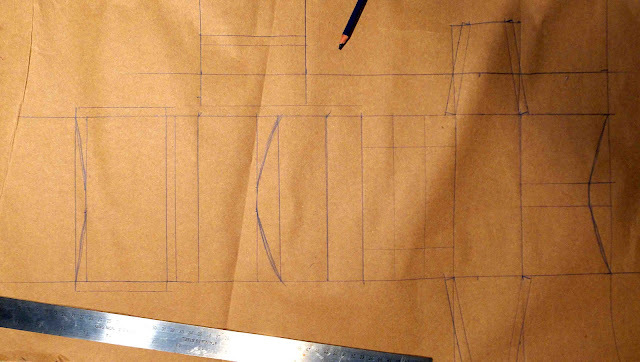 Each original design is drawn right onto the leather, before it is carved. The result is a beautifully exquisite piece of wearable art. It would be hard to pick a favourite, but the phoenix rucksack (pictured above) is nearing the top of our list. And for those of you who want something entirely individualized, Joren will work together with you in creating a custom piece. To read more about Eulalee Leather, check out this recent feature in the Georgia Straight. Better yet, come to the Portobello West market on September 25th for Eulalee Leather’s market debut. We know they will be a great addition to the Portobello West family, they have this one in the bag.